This sweet little birdie trio is a precolored digi image from Doodle Pantry. The name of the set is Spring song birdies. Cut out the easel card base and inserts with Spellbinders Nestabilities circle and scalloped circle dies. Added some lace, prima flowers and a pearl in the center of the flower. This is really a sweet card. 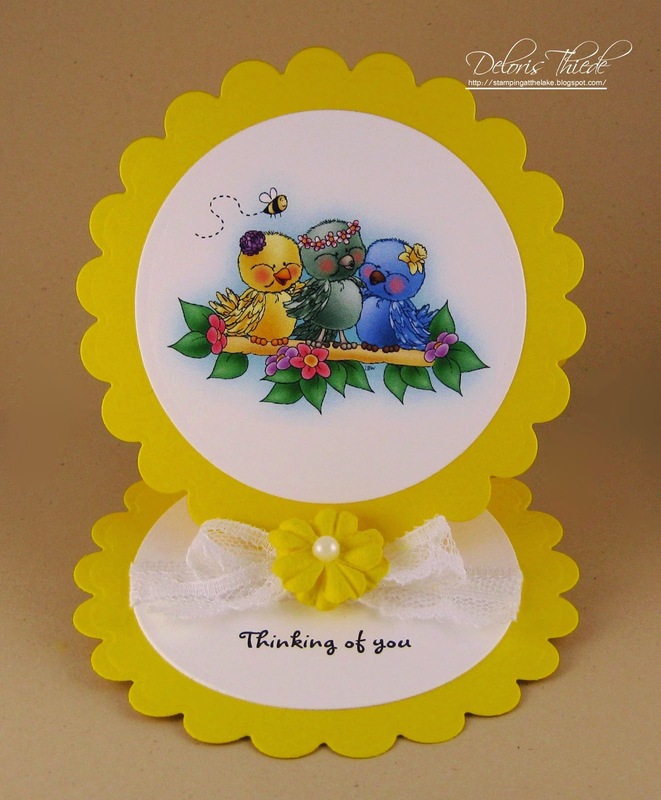 love the bright colors you used on the bird and for the card. Thanks for sharing with us at Come and Get It. So clean and simple! Delightful birds! 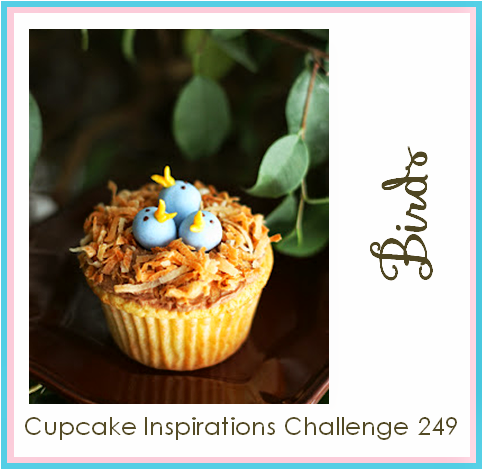 So glad you were inspired by this week's "birds" theme at Cupcake Inspirations! So cute and gorgeous colors. I do love birds. Your little birds are bright and vibrant and perfect for a dull afternoon! These little birds make you instantly think Spring! What a sweet card you have created! Thanks for joining us at QKR Stampede this week! Oh WOW, your card sure put a smile on my face. It's so vibrant and I TOTALLY LOVE the colors. Fab card! The image is so cute! Thanks for joining in my Birdie Challenge at CCM&M and good luck! Wow, a fabulous card. Beautiful image! Love the round easel card. Thanks for playing at Cupcake Inspirations. My gosh Deloris this is cute, the bright colors, image and die cuts are adorable. Awhh! This little trio is sooo cute! FABulous colours...I LOve the pretty lace and flower too.